Changing norms and addressing community barriers are two bold ways that ad agencies are bringing unique perspectives to the development sector. In Tanzania, A360 worked alongside Khanga Rue Media to reimagine how we could integrate advertising practices into how we reach– and how we excite girls about the programming A360 is delivering, The solution that came from the partnership is in its final edits, but it’s an alliance and a work product that will set precedent for how the advertising world can be a trusted, albeit unlikely partner in public health solutions. Devex sat down with Khanga Rue Media’s co-founder to explore how ad agencies are upping the ante for NGOs in Africa… and beyond. A snippet has been copied below. Four years ago, TBWA\Khanga Rue Media, an advertising agency based in Tanzania, began working with development partners on designing products and campaigns directly for beneficiaries. At this point, the agency began to devote resources to training its staff in areas such as the technical aspects of social behavior change communication campaigns and behavior economics, as well as working to develop partnerships in the sector. Now, the agency is working with development partners across the African continent and some of its employees are devoted full time to development work across all departments of the company, from finance, editorial, content making, and strategy. Through this work, the agency is often involved in national or regional social behavior change communication campaigns, aimed at changing norms and addressing community barriers. 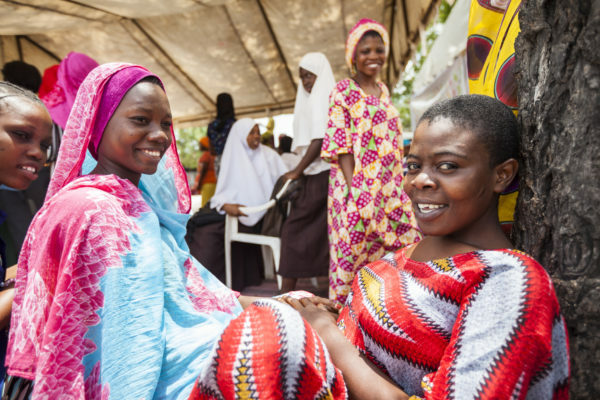 An example of this is the agency’s work with Population Services International on its Adolescents 360 program, where it aims to increase contraceptive use among girls. The agency also has its own products that it developed independently, which then drew in the interest of the development community. Noa Ubongo, which the agency developed in 2016, is a free learning channel aimed at tackling youth unemployment in East Africa. The agency is now partnering with the Financial Sector Deepening Trust, USAID’s Tanzania Youth Economic Empowerment Activity, DAI and the Digital Opportunities Trust on the project. Read the full Devex piece here.